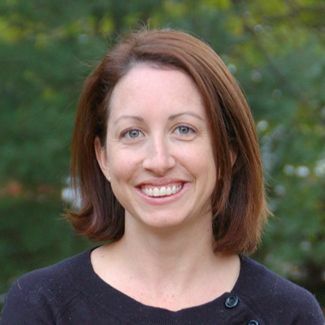 Hilary Harp Falk ’97 began her career in environmental advocacy at the Chesapeake Bay Foundation, before becoming a senior policy analyst at the Northeast-Midwest Institute, focusing on large-scale ecosystem restoration. Subsequently, she created and directed the Choose Clean Water Coalition, a 230-member advocacy organization focused on protecting the Chesapeake Bay watershed. Falk is now regional executive director for the Mid-Atlantic with the National Wildlife Federation, where she leads program work in wildlife conservation, coastal resiliency, water policy, greenhouse gas reduction and education. My love of the environment began very early – I spent my childhood outside, taking pictures with my photographer father. Sunrise in a salt marsh is pretty magical. These years of experiences outside made a big impact, and I knew from a very young age that I would spend my life in conservation. I came to the National Wildlife Federation to launch a coalition to protect the Chesapeake Bay. The Federation had recently opened a regional office, and this was the anchor program. I fell in love with coalition building and the organization, and when the regional executive position opened up, I jumped at the chance. I love the parts of my job that have to do with people, especially meeting new people, managing people, and mentoring staff. I am fortunate to work with passionate and thoughtful colleagues. An amusing side effect of working at a wildlife organization is that when people find out what I do, I often hear pretty funny wildlife encounter stories. Since we look at wildlife through the lens of habitat – land and water – a normal day has me attending meetings to discuss the best regional, state and local strategies to protect wildlife across a given landscape. Recently, I have been discussing next steps for Chesapeake Bay restoration and campaign planning for a multi-state strategy for the Delaware River Basin. In the warmer months, I get to help with restoration projects under our “Grow Together Baltimore” campaign, which is creating wildlife habitat throughout the city. Our newest garden was planted last summer at Camden Yards with the Baltimore Orioles baseball team to attract birds, bees and butterflies – and hopefully orioles! It is hard to overstate the importance of conservation, and education is a critical part of that. One of the biggest issues in our country right now is a fundamental disconnect between people and nature. Children are spending about half as much time outdoors as they did 20 years ago. Without a connection to the outdoors, we risk losing the next generation of environmental stewards. Addressing the indoor childhood epidemic is essential to clean air, clean water, and abundant wildlife. Worldwide, the impacts of global climate change are potentially catastrophic. Warming waters, increasing storms, and drought are just some of the issues facing the U.S. and other countries. We need to address the root causes of climate change while also preparing and adapting for change. Bryn Mawr created a warm but high-expectations environment. I was surrounded by talented classmates and teachers, and I gained confidence that I have what it takes to succeed. Bryn Mawr was also where I first began working with the Chesapeake Bay Foundation, which helped set a path for me in school and in my career. For me, the value of a Bryn Mawr education can be summed up in three words: confidence, curiosity and passion.